Can't speak any European languages? No problem, we've got help for you! Home > Blog > Can’t speak any European languages? No problem, we’ve got help for you! 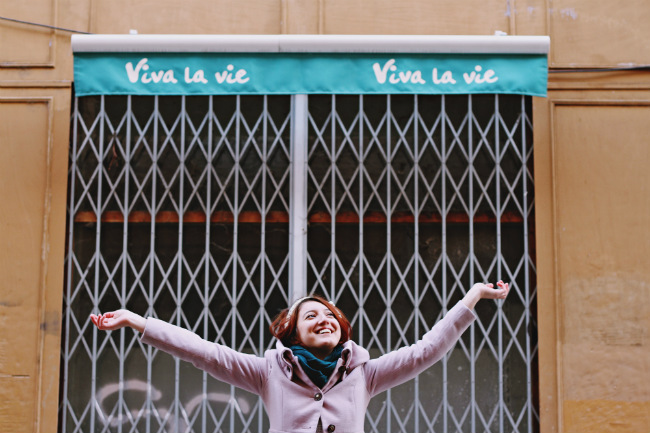 Just point and translate: Viva la vie…Live life! Thank you, thank you, thank you to the Robinsons from Sydney who returned from their hire a couple of weeks ago and showed me the truly brilliant Google translation app for smart phones. I could hardly believe my eyes when they showed it to me. You simply download the app and point your phone at any text – from writing on a sign to a page of print or even a photo containing text – and it instantly translates it for you! How can that possibly work? I don’t know, I think it must be witchcraft and I need a clever person to explain it to me. 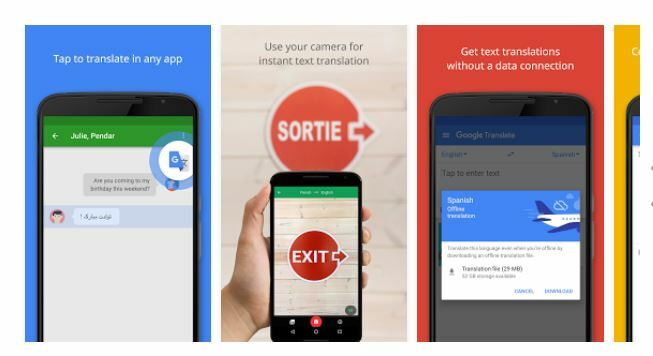 Just point your phone at say a poster written in French (or 38 other languages) and it translates it into English instantly, even when you are offline. Whatever it is and however it works, it saved from me from several language crises in Germany last week. From looking at menus to understanding a sign explaining what days I could park in the market square, it proved invaluable and I will never travel without it again. It does provide the odd slightly dodgy translation, and I wouldn’t use it for legal documents (! ), but it’s a bit like my GPS trying to pronounce French road names in English, the errors are generally just funny rather than a real nuisance. Why didn’t I know about this incredible translation app before? Everyone that ever travels to a country where they don’t speak the language should have it. Download Google Translate for Android here and for iPhones here. Don’t set off on a European motorhome trip without it!